Review the award terms and conditions and the sponsor's policies for approval and documentation requirements. Download the PDF* of the Post-Award Change Request Form (PACR), and Complete Section A, providing PI and project information. In Section B of the form, check the appropriate box(es) describing the type of request(s). For guidance, use this web page or the Help tips within the form itself, indicated by the question mark symbols . Provide the required documentation in Section C, or as an editable attachment. For guidance, refer to the Documentation Required for each change request type, presented on this web page and within the Help tips on the form. Refer to the Approvals Required sections for each of the respective change request types. Either have the form signed by the parties required, or, alternatively, provide evidence of the required approvals (e.g., email) as an attachment to the "Request/Action Modification" activity described below. Approvals by the department chair/unit head and dean/director designees are acceptable. However, unless explicitly delegated, division directors may not sign on behalf of department chairs or unit heads. Note that PI approvals are always required (i.e., no designees are acceptable); when obtaining the PI's signature is not practicable, evidence of PI concurrence is required (e.g., an email). Either the PI, the Primary Research Administrator or the Primary Post-Award Contact can submit the completed form along with any required or supplemental documentation to the relevant AWD in eRPM via the "Request Action/Modification" activity. Note that schools, colleges, institutes, and centers may require additional approval and documentation beyond that mandated by ORSP. Note also that ORSP is unable to approve requests if required certifications or approvals (e.g., PEERRS, IRB, IACUC, FCOI, etc.) are expired or pending. You may need this form to request a broad array of changes that may be necessary while working on a sponsored research project. ​What is the purpose of the Post-Award Change Request Form? To submit requests for changes to active, funded projects. Who approves the request? Sometimes ORSP may have the authority to approve the requested change; other times, prior sponsor approval is necessary before ORSP can process the change. How soon should this be submitted to ORSP? This form must be submitted to ORSP early enough to allow time for administrative processing and to secure sponsor approval in advance of the requested change. What should I do first? Consult the terms and conditions and sponsor policies applicable to the award before completing this form. 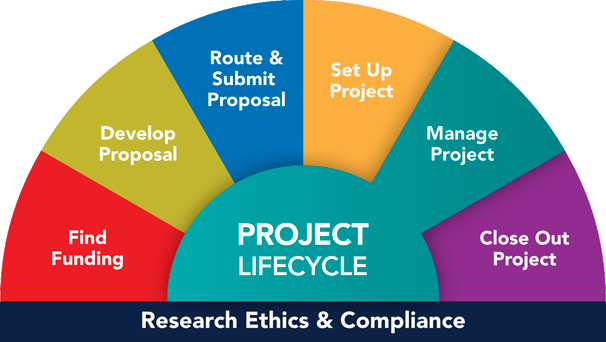 PIs and Project Teams bear the responsibility to administer funded projects in compliance with U-M and sponsor requirements. What if I have questions on interpreting award requirements or terms and conditions? Please feel free to contact your ORSP Project Representative to assist. What types of changes does this form cover? The following definitions do not supersede the terms and conditions that apply specifically to each award, nor does it supplant the PI's responsibility for sound and compliant grant management practices. They serve as a general guide to award management and in use of this ORSP Post-Award Change Request Form. The Uniform Guidance (UG), Subpart E, Cost Principles, (formerly A-21) requires that certain expenses be treated as Facilities and Administrative Costs (also known as F&A, indirect costs or overhead) and paid for through the recovery of indirect costs. Examples of these costs include clerical and administrative salaries, computing devices, hosting, subscriptions, books, membership dues, postage, office supplies, and telecommunications. To qualify as a direct charge on a sponsored project, costs normally considered F&A must be charged in a timely manner and must be consistent with established institutional policies and practices. U-M policy and procedure documents which costs can be charged directly to federally funded projects and which expenses may qualify as exceptions. Sponsor approval may also be required. Please consult the award terms and conditions. Occasionally a sponsor will reduce the amount of funds that have already been committed to a sponsored project. Project Teams must notify ORSP via this form whenever they receive notice from a sponsor that an existing active award is being reduced. notice of award reduction from the sponsor. Department Chair/Unit Head or designee. The ability to automatically carry forward unspent funds from one budget period to the next is typically limited to certain federally funded projects subject to the Federal-Wide Research Terms and Conditions (formerly known as the Federal Demonstration Partnership or FDP; see https://www.nsf.gov/awards/managing/rtc.jsp). For all other funded projects, it is more likely the case that prior sponsor approval will be required. Project Teams must, therefore, consult the specific requirements of the award to determine whether carry forward is allowed. revised budgets, if required by the sponsor. Whenever cost sharing has been approved and budgeted as part of a funded project (i.e., there is cost sharing reflected in the Project Grant Budget Status Report in M-Reports), the University is obligated to provide the cost sharing as part of the total costs of the funded project. Just like the sponsor's funds, the cost sharing is tracked and reported upon and is subject to audit. the sponsor's share of the total project cost must be reduced. Routing a Post-Award Change Request Form will alert ORSP to the need to determine whether the reduction in cost sharing is allowable and whether prior sponsor approval is required. Note that a Post-Award Change Request is not required for reductions in voluntary uncommitted cost sharing because it is not considered part of the financial terms and conditions of the award. a revised scope of work, if appropriate, or an attestation that the scope of work will not change. Sponsor approval is often required. Please consult the award terms and conditions. The budget plan is the financial expression of the project or program as approved during the award process. After a grant or contract has been awarded, the PI may determine that the approved budget allocations are not consistent with actual project needs. S/he may request the formal reallocation of funds from one spending category to another that better reflects the project requirements. This process is called Rebudgeting. For research grants incorporating standard federal Research Terms and Conditions (formerly known as the Federal Demonstration Partnership or FDP; see https://www.nsf.gov/awards/managing/rtc.jsp), U-M has been delegated the authority to approve most rebudgeting requests. Federal cooperative agreements and contracts, however, may contain terms requiring prior approval for rebudgeting. Moreover, industry, foundation, and other non-federal sponsors have various policies for rebudgeting, and often require that U-M receives the sponsor's prior approval before rebudgeting. When the agreement is silent, PIs should use their best judgment in rebudgeting funds as necessary to meet the requirements of the project. Individual awards should be reviewed for specific guidance. Sponsor prior approval is required (by definition). Following the issuance of a federal award notice, U-M may approve pre-award costs up to 90 days prior to the effective date of an award subject to the Federal-Wide Research Terms and Conditions (RTC). (See https://www.nsf.gov/awards/managing/rtc.jsp.) Pre-award costs must be necessary for the effective and economical conduct of the project and the costs must be otherwise allowable in accordance with the anticipated terms of the award. If pre-award costs are associated with a request to establish a new project/grant, please use the eRPM Hardship Request functionality. the proposed effective date of the pre-award period. A mid-project advance account may be requested when a new Project/Grant (P/G) number is needed to allow funds to be expended prior to having a modification to an existing award in hand (e.g., the grant budget period has expired, incremental funding for the next budget period has not yet arrived, and the grant does not allow carrying forward unspent funds from one budget period to the next). There is a delay in the process of receiving continuation funding. There is reasonable certainty that continuation funding will be forthcoming, as determined by the requesting unit. Necessary expenditures will be allowable under the award terms and start/end dates. The unit requesting the mid-project advance account is financially responsible if for any reason the award does not cover the costs incurred during the advance account period. For this reason, units are advised to do their due diligence and assess their risk exposure prior to requesting a mid-project advance account. All applicable PEERRS training requirements are current. A brief description of the need. Project teams do not need to provide evidence that continuation funding is forthcoming. Period covered by advance account (start and end dates) to be established. A budget by direct and indirect costs, including the applicable indirect cost rate and basis (i.e., Total Direct Costs or Modified Total Direct Costs), consistent with the funded award and any known sponsor requirements. If you are requesting approval for equipment costs associated with a non-federal award, use #5 "Rebudgeting Requiring Prior Sponsor Approval" box instead.] For research grants incorporating standard Federal-Wide Research Terms and Conditions (https://www.nsf.gov/awards/managing/rtc.jsp), U-M has been delegated authority in several instances to approve the purchase of equipment costing that was not in the original sponsor-approved budget. Grants by NIH, which may consider such a purchase to constitute a change in scope and U.S. Department of Energy, are exceptions that may require U-M to first seek prior sponsor approval. Individual award terms and conditions should be reviewed for specific guidance. a description of how the purchase will impact the scope of work, if at all. In limited cases, prior sponsor approval may also be required. Please consult the award terms and conditions. General-purpose equipment is defined as equipment that is not limited in use only to research, medical, scientific, or other technical activities. Examples of general purpose equipment include office equipment and furnishings, computers, air conditioning equipment, reproduction and printing equipment, facsimile machines, refrigerators, and freezers. Expenditures for general-purpose equipment on federal funds are unallowable unless the equipment is primarily used for the actual conduct of the research. a description of the intended use of the equipment, with a particular emphasis on how it will exclusively benefit the funded project. Purchase of equipment in the last three months of a project requires prior U-M approval even if the sponsor-approved budget included funds for the equipment. Extraordinary justification will be necessary for such purchases, except in cases where a renewal award is imminent. a description of why the equipment is necessary to complete the project. Sponsors reasonably expect that the PI will be physically present at the location where their funded project is carried out to manage the award and ensure that objectives and timelines are met. Most sponsors want to be notified when a PI will be disengaged for short periods of time; federal sponsors, in particular, require advance notification when a PI will be disengaged for a period of time extending 90 days or more (e.g., a sabbatical). Individual awards should be reviewed for specific guidance. a plan detailing how the sponsored project will be carried out in the PI's disengagement if one exists. Sponsor approval is almost always required; please consult the award terms and conditions. Naming a new PI to lead a funded project almost always requires the prior approval of the sponsor. Depending on the sponsor and the terms and conditions of the award, changes to other Key Personnel may also require prior sponsor approval. Individual awards should be reviewed for specific guidance, but at a minimum, all PI changes must be routed through ORSP regardless of sponsor requirements. sponsor approval [non-federal projects only]. Reducing the level of effort that a PI or Key Person intends to commit to a funded project may require the prior approval of the sponsor. (Note that for federally funded projects, a reduction of effort of 25% or more from the level that was approved at the time of the competing year award requires prior sponsor approval.) Individual awards should be reviewed for specific guidance. the effective date of the proposed change. Sponsor approval may be required for non-federal awards and federal awards not subject to the Federal-Wide Research Terms and Conditions (formerly known as the Federal Demonstration Partnership or FDP; see https://www.nsf.gov/awards/managing/rtc.jsp). Sponsor approval is required for federal awards subject to the Federal-Wide Research Terms and Conditions when the change in effort is equal to or greater than 25%. significant re-budgeting (i.e., when the cumulative amount of transfers among direct cost categories for the current budget period exceeds 25% of the total award, or $250,000, whichever is less). an explanation of how the scope change will impact the timeline, budget and project deliverables. the sponsor has requested an early termination. Award agreements typically include a clause for how an early termination situation will be handled, so individual awards should be reviewed for specific guidance. Generally, sponsor-initiated notices will be sent to ORSP, in which case ORSP will inform the PI and Sponsored Programs Office. This form should be used when the PI either wants to initiate an early termination or receives an early termination request from the sponsor. In the latter case, the sponsor's notice should be provided to ORSP. Important: In the event of early termination, all required reports (e.g., financial, technical, property and patent), must still be provided to the sponsor. Departments should also be mindful of whether an early termination may negatively impact the sponsor's willingness or contractual requirement to make a final payment on outstanding invoices. the reason for requesting early termination, if initiated by the PI, or the sponsor's notice of termination, if initiated by the sponsor. Requests for extensions are appropriate if additional time beyond the established expiration date is required to assure adequate completion of the original scope of work within the funds already made available. The fact that funds will remain at the expiration date is not in itself justification for an extension. an indication of how the balance will be used during the extension [federal funds only]. Sponsor approval is almost always required for non-federal awards and federal awards not subject to the Federal-wide Research Terms and Conditions (formerly known as the Federal Demonstration Partnership or FDP; see https://www.nsf.gov/awards/managing/rtc.jsp); please consult the award terms and conditions. For federal awards that are subject to the Federal-wide Research Terms and Conditions, sponsor approval is only required for a second or later extension. Check this box if the PI of an active award is transferring to a new department and wishes to have the management of the award moved to the new department as well. The Department Heads and Deans for both the relinquishing and receiving departments must indicate their support of the transfer by signing this form. contact information of the Primary Research Administrator in both the current and new department. Deans/Directors or designees of current and new schools/colleges, if also transferring to a new school or college. Typically the result of a PI leaving U-M, check this box to request that an active award be transferred to a new institution. The approval of the appropriate Department/Unit Heads and Deans/Directors indicates their willingness to relinquish the award. Upon receipt of the form, ORSP will contact the PI for any additional information necessary to request sponsor approval of the award transfer. sponsor approval if already obtained from the sponsor [non-federal projects only]. Check this box to request any other post-award changes not listed above and describe the change in Section C or in an editable attachment to the "Request Action/Modification" activity. Requests that do not require formal ORSP, Sponsored Programs or sponsor approval may be submitted using the "Request Action/Modification" activity without attaching this form. documentation as appropriate Consult your ORSP Project Representative for further guidance. Consult your ORSP Project Representative for approval requirements.